The flamboyant and mysterious Betty Davis tells her heartbreaking story in a new documentary. Hey! You Dropped Some White People! It is worth the trip up to Everett to see A.R. Rahman, who's won Oscars for his film scores. "This isn't celebrity impersonation. This is something different." Artist Juventino Aranda sees the spiritual in mass-produced objects. Orcas Are Cool, but Have You Seen a Pacific Spiny Lumpsucker? Or a Wolf Eel? Or a Giant Pacific Octopus? Drew Collins's book of underwater photography celebrates Puget Sound's lesser-known creatures. Check out the inventive drink list, the Vietnamese-forward menu, and the shuffleboard out back. 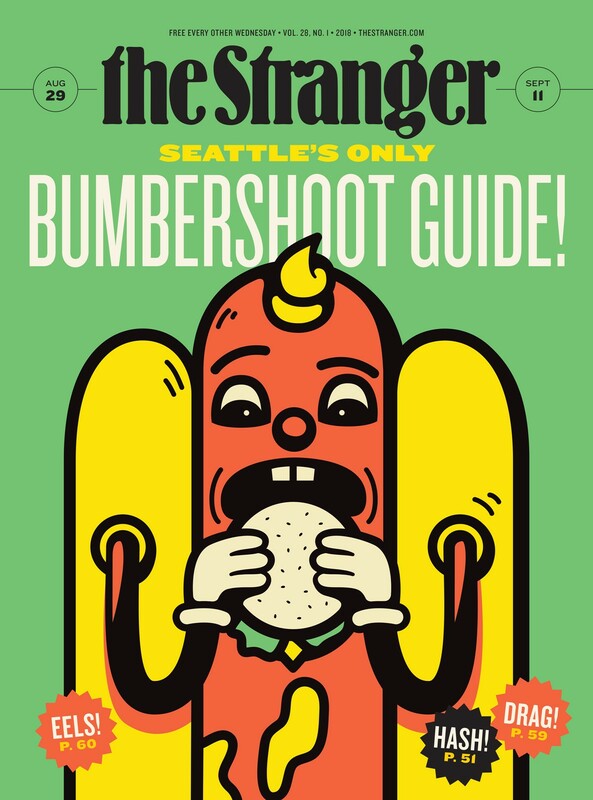 Seattle artists playing Bumbershoot tell us who they are most excited to see at Bumbershoot. An alternative to the usual fest food offerings can be found at Bumbershoot's curated fine food court. Hey Seattle, Where Are All of Your Gas Stations? Gas stations in Seattle are disappearing. What is Lebanese-style hash and why is it so hard to find here?